Welcome to my second Goodreads Giveaway! I am really excited about my second Goodreads Giveaway, which ENDS on Friday! If you are bored at work and the boss isn’t looking:), head over to Goodreads to join in. 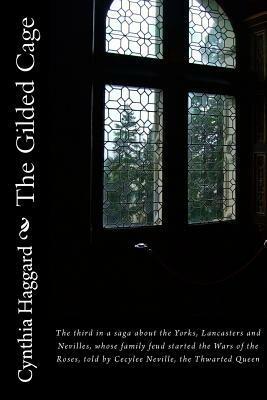 You will get a SIGNED COPY of THE GILDED CAGE, a novel about the family saga of the Yorks, Lancasters & Nevilles whose family feud started the Wars of the Roses. Told by Cecylee Neville, the Thwarted Queen. CAGE is the middle volume in the 3-volume paperback set that makes up THWARTED QUEEN (for those of you who prefer reading paperbacks). Help to make this a success, and stay tuned for more giveaways of my other volumes on Goodreads!